I hope you enjoyed the holidays, or at least persevered through them. It may still feel like the middle of winter where you are, but in FOUR weeks Cubs pitchers and catchers report to Mesa to begin spring training. If you can’t shake that seasonal affective disorder, never fear BOS is here! Follow the Cubs on our Boys of Spring website where you can almost feel the warmth. The weather in sunny AZ right now (apologies to other parts of the country) is simply magnificent – abundant sunshine and high temps in the low to mid 70’s. Here’s our 10-day forecast if you can handle it. Ahhh, I’m feeling spring training already. The Cubs made a big trade for pitcher Matt Garza dealing some top prospects including pitcher Chris Archer, infielder Hak Ju-Lee, outfielder Brandon Guyer, catcher Robinson Chirinos, and Sam Fuld. As always, there is mixed opinion on the trade in the Cubs blogoshpere. 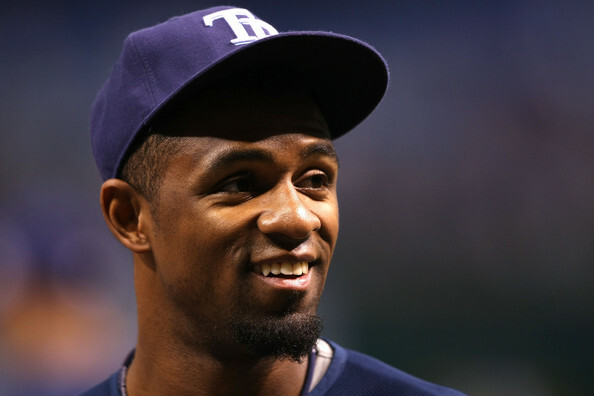 Does the trade make the Cubs a contender in 2011? Maybe. The Cubs finished with 75 wins last season, which is only 10 victories less than the Cubs won the division with in 2007. Sure the division appears stronger than 2007, but Garza is a needed boost in the rotation when you’re not sure which Big Z will show up from year to year, and the division rival Beer Boys inked Greinke. 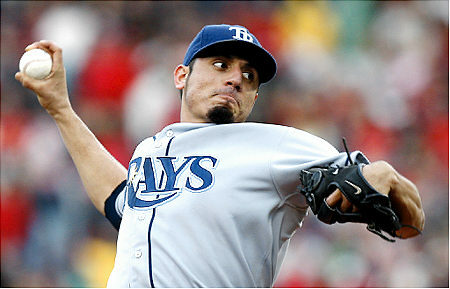 With the 27 year old inning eating Garza locked in for three seasons, the trade may end up helping the Cubs more in 2012 or 13. Garza should be able to lower his ERA just by getting out of the tough hitting A.L. East, but I’m a little frightened of his reputation as a fly-ball pitcher. The other side of this trade is what the Cubs gave up. In Archer and Guyer, the Cubs lost their 2010 minor league pitcher and player of the year, respectively. Archer, Lee, and Guyer were recently rated by Baseball America’s Jim Callis as the 1, 4, and 10th best prospects in the Cubs system. So, I think we can agree that Garza didn’t come cheap. 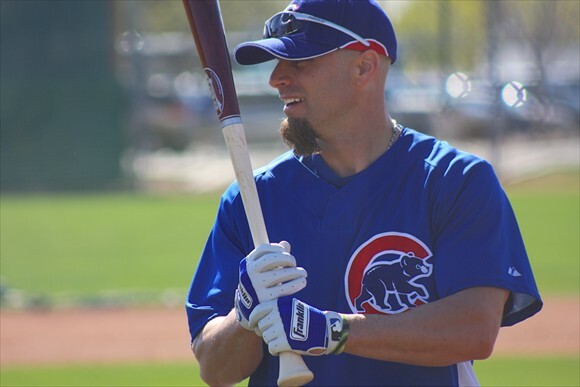 The Cubs refused to trade #2 prospect and 2009 first round pick, outfielder Brett Jackson. While they traded the top pitching prospect in Archer, the Cubs cupboard isn’t bare with several other talented young pitchers coming up in Trey McNutt, Chris Carpenter, Casey Coleman, Andrew Cashner, Rafael Dolis, and #8 prospect Hayden Simpson. Looking at this deal from a different angle, it’s clear the Cubs have improved the entire player personnel and minor league system immensely in the past 5 years. Think about the prospects the Cubs traded. Archer came over in the Mark DeRosa trade, Hak Ju-Lee was signed as a FA out of high school in Korea, Guyer was a Cubs 5th round draft pick, and Chirinos was also an undrafted free agent signing. I’m not mentioning Fuld as a prospect, he was kinda the throw in for Tampa on this deal. Fact is, none of these guys were high draft picks. Hak Ju-Lee is part of a great connection the team has established with prospects from South Korea; six other Koreans are working through the Cubs system. For Tampa, Archer was probably the key component in the trade so the Cubs have in Garza a residual from the DeRosa trade. As much as I liked Mark DeRosa, looking at his age and numbers since he was traded, the Cubs made the right decision. Any trade of prospects needs to be looked in the long view, so we likely won’t know how the Cubs faired on this deal for years to come. In the near term the Cubs get a top of the rotation type pitcher, and I really don’t think they hurt the talent pool as much as some believe. Perhaps after seeing Brian Wilson and his follicle filled face help the Giants win the World Series, Jim Hendry felt the Cubs needed more face fur. On the heals of acquiring the chin bearded Garza, the Cubs on Wednesday signed Reed Johnson to a minor league contract with an invite to spring training. The often goateed Johnson left the Cubs after two seasons, playing last year with the Dodgers, hitting .262. Johnson will compete with outfielder Fernando Perez for the 5th outfielder spot. Perez came to the Cubs along with pitching prospect Zachary Rosscup in the Garza trade. One thing Perez has that the Cubs need (besides occasional chin whiskers) is speed, having swiped 223 minor league bases. Perez is hoping to improve his hitting after his batting average fell off in large part due to injuries that sidelined much of his 2009 season. You’ve got to give Perez credit for coming to the Cubs ready to compete – with anyone. Perez apparently was riled by a less than funny attempt at humor at his expense by a Cubs blogger read it here, and decided to hit back in his own blog. Ouch, that hurt…I’m sure the blogger had no idea that, according to Wikipedia, the new Cubs outfielder is a former Columbia University student who studied creative writing, as well as being the first MLB player published in Poetry Magazine. I’m just hoping that Perez can hit as well with a bat as with a pen. If you can’t make the pilgrimage to the Cubs Cactus League games, Boys of Spring will keep you on top of things. We are making some changes here at BOS to give you the best Cubs spring training experience ever. You may have noticed the new header with Starlin Castro replacing Derrek Lee, but if not, hit the refresh and he should be there. Unfortunately, I won’t be able to make the Cubs Convention in Chicago this weekend due to other commitments here in AZ. But I’ll be there in spirit.